Fabulous Home just made available for Season 2019 December through February. Great opportunity to stay in world renowned University Park Golf and Country Club. 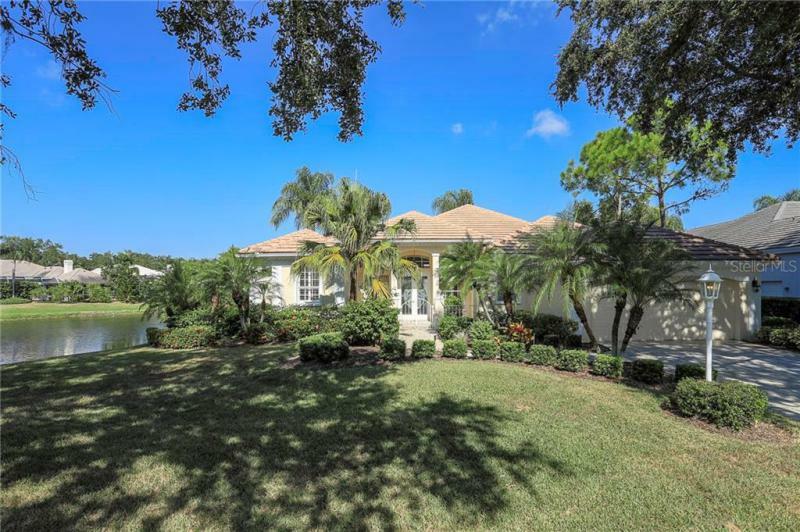 This executive style home overlooks a large lake and is situation in Eaton Court. Behind manicured landscaping go though the double doors into a light filled living room and formal dining room. These rooms overlook the swimming pool and beyond across the lake. Spacious open kitchen and family room with a breakfast area. The master bedroom features a king sized bed and the two guest suites have queen sized beds and in the office there is a queen sized sofa sleeper. Plenty of space for entertaining family and friends. The covered patio pool side has an outdoor kitchen/barbeque area. The large pool features a hot tub. This location is so convenient to the golf course, restaurant and all that University Park has to offer. It is a short distance to world class shopping in the UTC Mall, with lots of fine dining opportunities, and other stores. Convenient to I-75. AVAILABLE FOR MONTHS THIS 2018/19 SEASON.